Las Vegas gets hot! 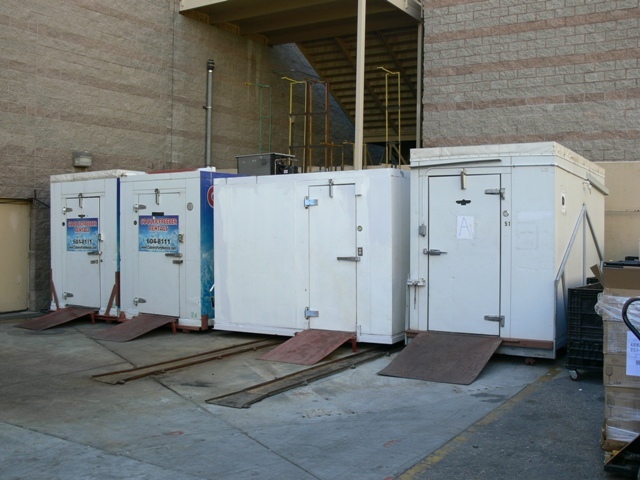 If you plan to host an event that will be catering and dispensing a large amount of food and beverages to your guests, a walk-in cooler is an essential piece of equipment during the hot spring and summer months here in Las Vegas. 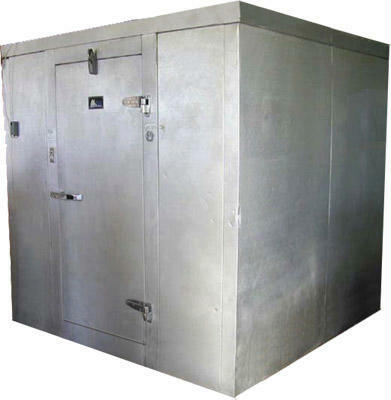 These coolers are also ideal for flower shops that need short term, temporary extra refrigerated storage space on special Holiday’s such as Valentine’s Day and Mothers Day. Rent daily, weekly or a month at a time. Also ideal for bars and businesses that may have a cooler issue or that are in need of emergency, temporary on-site extra cooler space or climate controlled storage. Our walk-in coolers and freezers are delivered with ramps and available with metro racks so you can wheel in carts and store your food and beverages while maintaining organization. 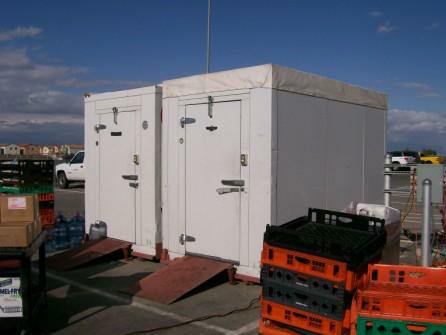 Custom built walk in coolers / freezers: Custom walk-ins are available in 4′ increments from 8′ x 8′ to 20″ x 20′. Whatever your business or event, if you need extra indoor or outdoor cooler space, contact TCI Event Rentals of Las Vegas. Make sure to plan ahead. Rent daily, weekly, monthly, short term or long term.